WARNING: An honest, unglamorous account of how I got to where I am. Believe it or not, The Prop Factory began as a university project. In 2011 I was studying Graphic Design at Somerset College of Art. Originally I’d applied for a Fine Art degree, began a Ceramics Degree, then switched to a 2-year Foundation Degree in Illustration. Finally I converted to a BA(Hons) in Graphic Design. To say I was indecisive about my career is an understatement. I was also a rubbish employee, racking up 25 employers by the time I was 21 (turns out I was just bored). It wasn’t until the final year of my degree that something stuck. Not actually being that good at graphic design - terrible, in fact, it transpires that it didn’t matter that much. Instead of design, I became fascinated by the application of graphics and the psychology behind sales and advertising: semantics and semiotics. This started my now life-long love of marketing. And at that moment, my obsession with Facebook marketing in particular. At the start of the third year of my degree my marriage to my little boy’s dad ended. This was what gave rise to a series of events that created The Prop Factory. Things were a bit of a mess around this time; I hadn’t been on my own for 8 years. I felt like a huge weight had been lifted, and although the future was uncertain, it was mine. My little boy was two at this time. I’d become pregnant in my first year at Uni and come the summer holidays a little bundle of joy had arrived. I took a year out with the intention of continuing my degree after that year. My second year of Uni couldn’t come fast enough. I loved being a mum but the loneliness and lack of direction caused severe PND, which stayed for the next few years. So by my 3rd year things had become overwhelming. Newly separated, I moved out of my marital home and stayed on friend’s sofas until I secured a one-bed flat in Barnstaple. I hate to admit it, but I stayed in my car a few nights too. My husband was paying the mortgage as I was a full-time student, so he made it clear it was me that needed to move out. He took our little one back and forth to nursery and kept him living at home to cause him the least disruption. It took ages to get somewhere proper to live, as no one wanted to take a self-employed single mum who was at university. So I sold my van to pay for 6 months’ rent up front. I lived on my student loan, eating smash for breakfast as it filled me up enough so that I didn’t need lunch - I now hate smash. During that third year I remember driving south in my green metro, a step down from my lovely van, on the M5 and not North as I should have. When I realised what I had done I pulled into a service station and sat sobbing. I’d already had several warnings from my tutors about my time keeping, and that I would not be able to continue studying if I didn't attend more. Only the day before in one of these talks I’d said quite confidently that I would be in on time the next day, and now I was already an hour late. I made a phone call - I can’t remember to whom - but I said I wanted to quit my degree despite having less than a year to go. They tried to convince me not too, but I was in two minds. I then remembered the University had paid for a £1900 Macbook to aid my study as part of my dyslexia funding, and if I didn’t finish my degree I would have to pay them back. That was the deciding factor, I stopped my pity party in the service station car park and off I went back up the M5. 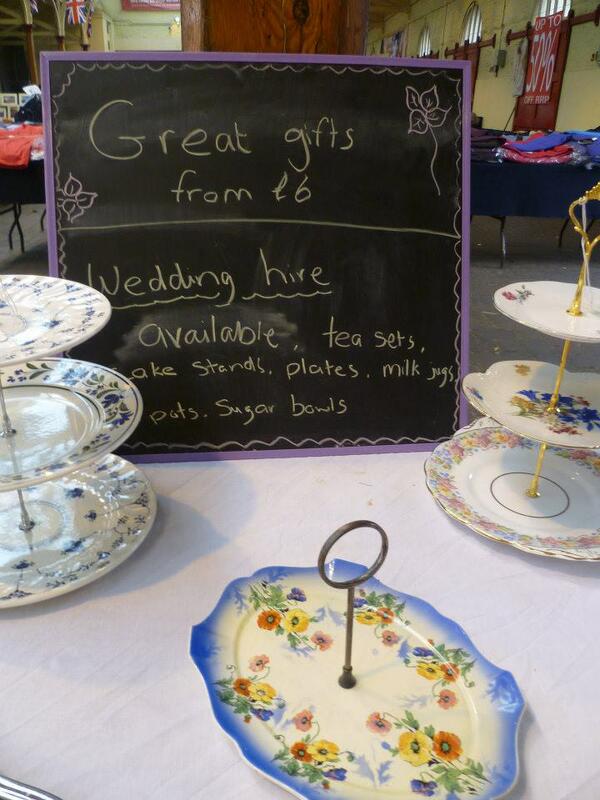 Prior to my third year a fellow mum friend, Alex Harris, and I, made a little sideline selling cake stands. I can’t remember how the idea came about, but I know I never would have attended a market or tried to sell anything on my own - the idea seemed too scary. Our first stall we booked at Appledore Arts Festival. Alex made children’s aprons and I made cake stands by drilling plates and adding fittings bought online. It was really exciting, and I felt a bit odd taking money when we sold something. I guess I felt like an impostor as neither of us had ever done anything like this before. 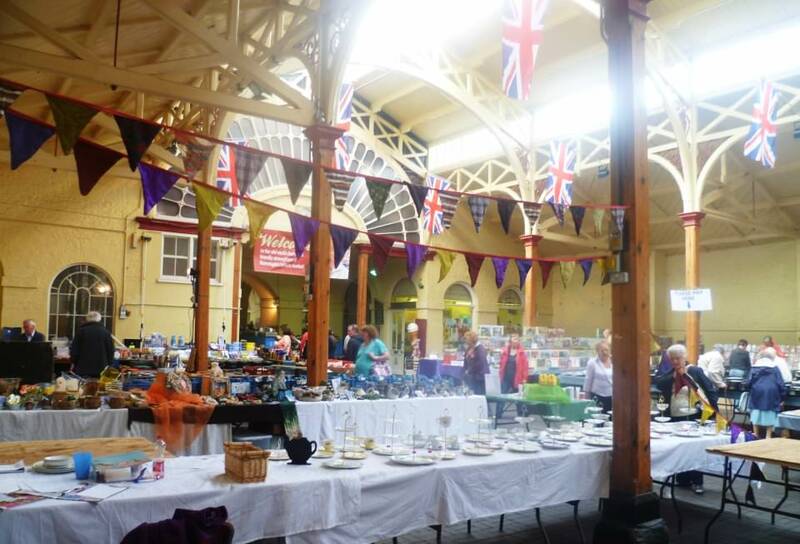 From there we rented a stall at Barnstaple Pannier Market once a week - toddlers in tow, and tried to flog our wares. 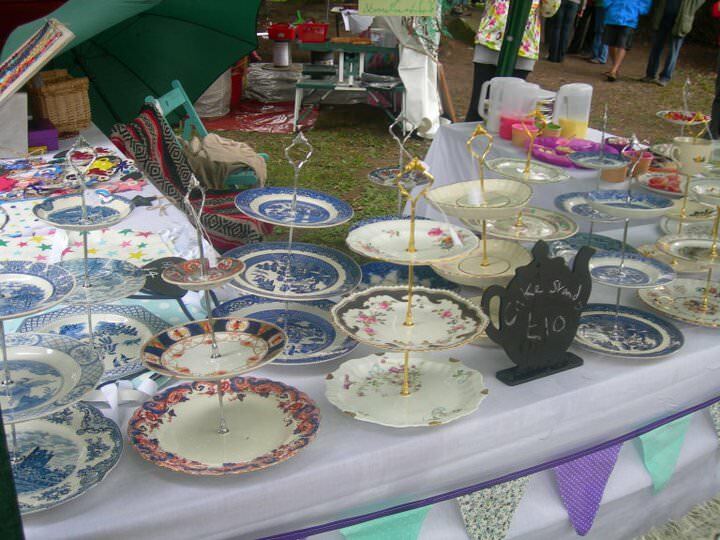 We didn’t sell loads, I’m not sure we even made our pitch fee back sometimes, but I was motivated but not by making money: firstly it was by buying loads of pretty plates, and secondly the idea of owning a business. When I shared my news with people I got mixed reactions. Friends and wider family – and the guy collecting my pitch fees - were generally enthusiastic. Others were a little skeptical and some people downright rude. A particular event that stuck with me was that when we started I didn’t really know how to advertise apart from the chalkboard on our stall that said ‘Great gifts available from £6’. One day I was walking past our local corner shop when I saw they had little pots of homemade jam on an Argos £10 cake stand - I recognised it as I had the same stand. I saw an opportunity and went home to select a cake stand I could give to them as a gift. I knew it would need to be one of the best cake stands we had to really showcase what we could do in the shop window. I dithered for ages as I had a favourite stand that would be perfect, and suited the window display colours. I decided to take that stand and triumphantly walked down the street before I could change my mind. The shop owner was on holiday so I left it in the care of a staff member. I explained that she could use it for the window display, and if anyone asked about it she could say where it came from. I didn't even leave business cards. I was the completely opposite of pushy – actually apologetic. A week or so later I was passing the shop and went in to see if the shop owner had received the stand ok. I was nervous but excited as I expected to be greeted with a beaming thank you. I found it hard to simply start up a conversation so I grabbed a loaf of bread to buy. ‘Did you get the cake stand ok?’ I asked gently after I’d paid. ‘Oh so you’re the one that left it,’ the owner replied sternly. ‘Yes,’ I said, mustering some cheeriness I no longer felt. ‘Well, can you take it back.’ And that was it. Despite this early encounter, Alex and I continued to try and sell cake stands at Barnstaple Pannier Market. A pivotal point was when a couple getting married asked to buy 10 stands, I was so excited! This was our biggest sale yet at £100. 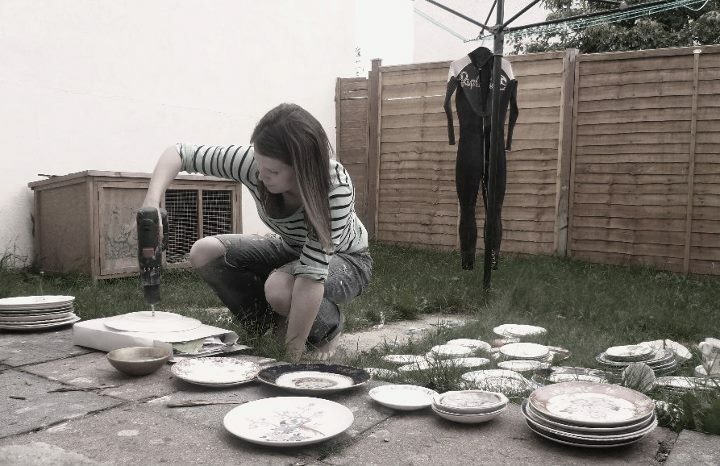 They came to my house, which was overrun with plates, and selected 30 plates for me to make into stands. Later that week I carefully drilled them all. It took all day and I went through quite a few drill bits. I was very pleased with the results. After selling these stands we wondered if we could have hired them instead. Making them was a lot of effort and the thought of doing it again felt exhausting. So I placed an advert in the local free ads that just said ‘job lot of cake stands’. Luckily someone enquired about using them for their wedding. That September in 2011 was our first ever booking. 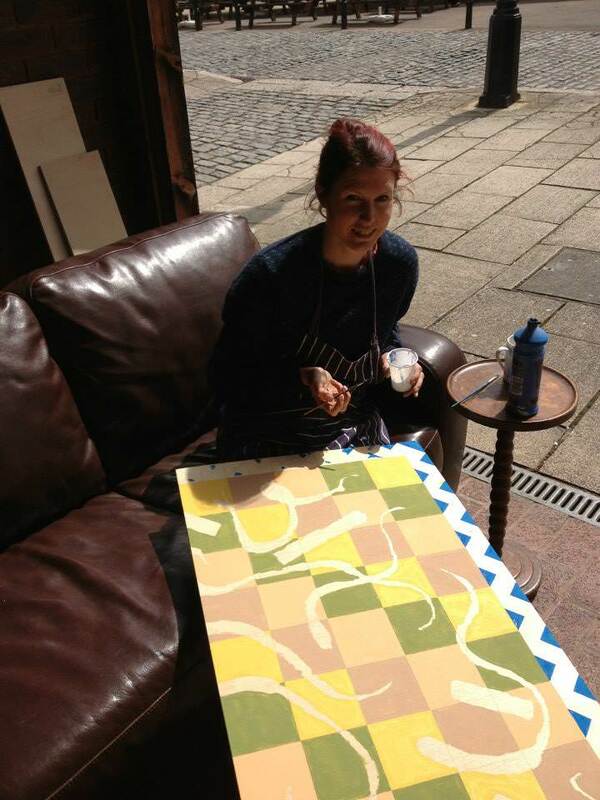 By October I was in my third year of university and at the start of my new business journey. We didn't have a business name, apart from ‘Cake Stand Stall.’ As a graphics project I decided to make a logo and name for the newly-discovered hire business. 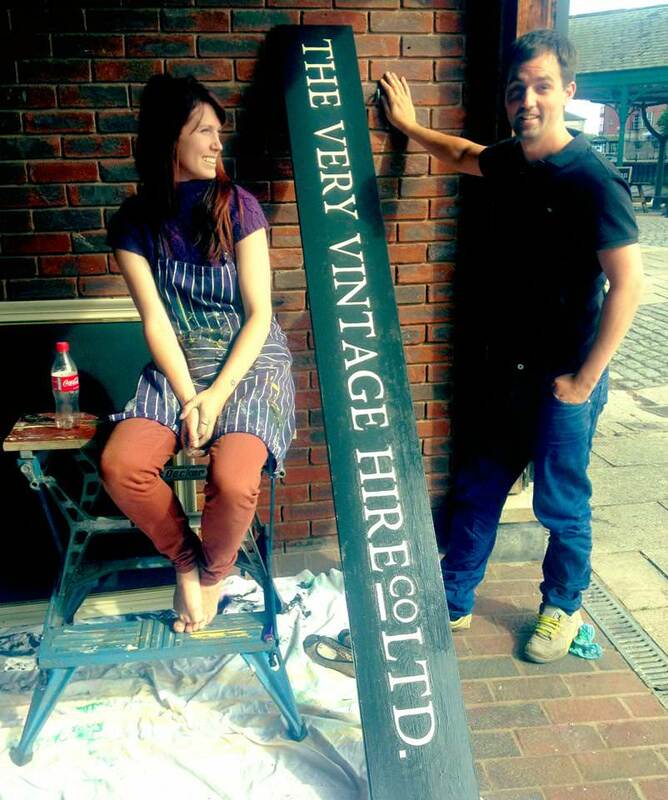 After a lot of deliberation Alex and I settled on the name, ‘The Very Vintage Hire Company’. At this point we had lots of ideas about what we else we could hire out. The products we had in mind (all of which have zero viability today), ranged from cups and saucers to tiny tins and cardboard hat boxes. I look back at the evolution of products from then to today and see it as a journey of trial and error - mainly a lot of error. 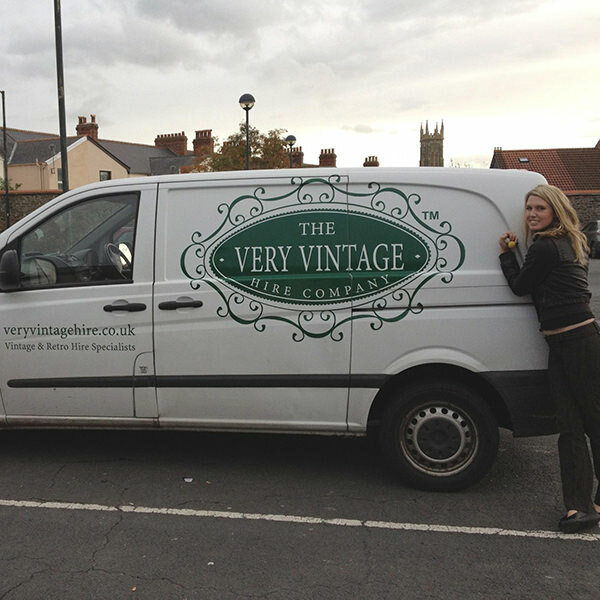 In December 2011 after the creation of the logo, which a guy I met in a pub helped me with, I had a hire business. Although for the first 6 month it was a ‘lend everything to anyone for free’ company, as we didn’t have a real booking until May 2012. In those 6 months a lot of other stuff happened. 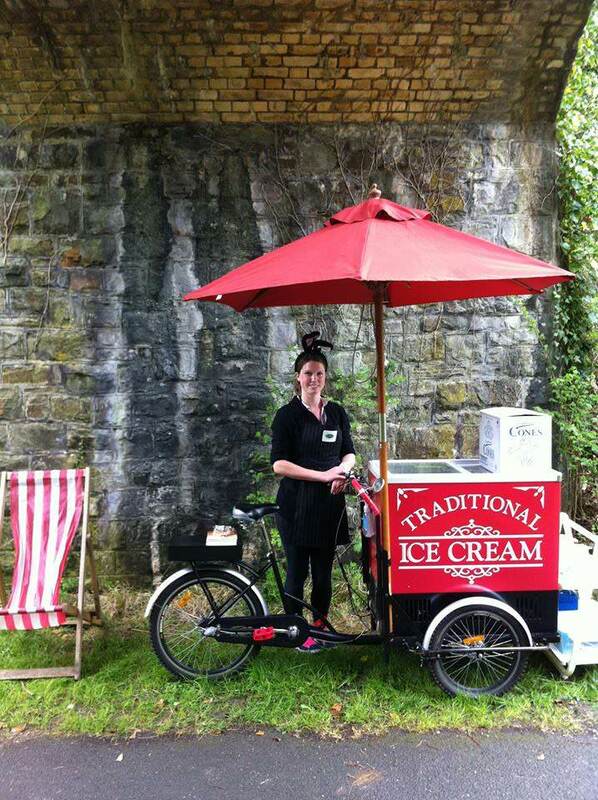 In another hair-brained idea I spent my student loan on an ice-cream tricycle. 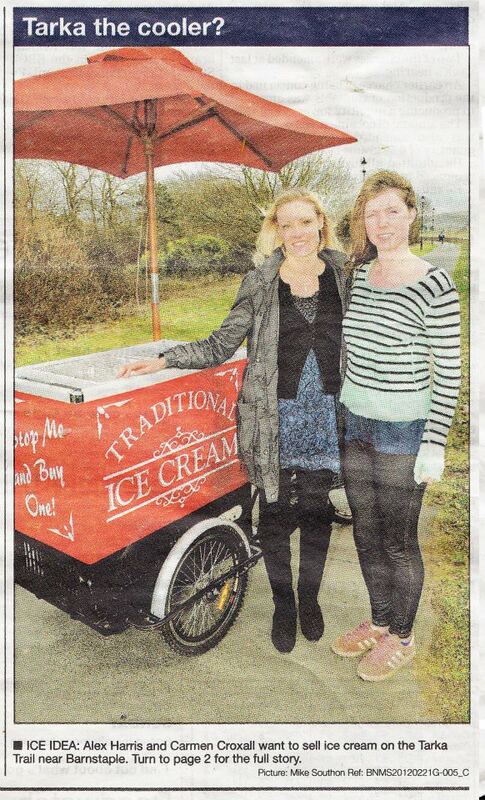 Alex and I began selling ice cream on the Tarka Trail after winning a contract from North Devon Biosphere. We got the contract by phoning North Devon Council and asking to do it. They were obliged to put it out to tender so we had to ‘apply’ to pursue our own idea! It was a bit of a tangent but an exciting episode all the same. Tangents seem to be common with very new businesses where enthusiasm outweighs the interest in practicality, so the default is to start another idea to fill the void. My advice to startups is DON'T DO IT! Stick to what you’ve started. It’s a valuable business lesson, to not feel cowed by the names of other companies, like North Devon Biosphere. After all, companies are just groups of people. I try to remind myself of this even today when I pick up the phone to other companies. We had to make a business plan to win the contract and I had no idea what I was doing. It was a whole 2 pages long - nothing compared to the 50-page 2018 marketing strategy. A lot has changed in the last six years. When selling ice cream we were obliged to trade on certain days as per the contract, but due to our work and study commitments, we couldn’t always manage it, so we took on our first member of staff. It was a massive novelty, I spent a lot of time talking about our ‘staff member’ in my little boss lady persona. We received lots of really positive feedback and had some regular customers, but due to the appalling weather, the new business venture began to make a loss and after two months we ceased trading. So, back to the hire business. I tried to drum up more work by making a catalogue full of our props as another uni project It was basically a wishlist of things I wanted to own, but didn't, so I’d sketched them and said we owned them. This was a pretty silly idea as you’ll find out. I popped the products on our Facebook page and our very basic website, feeling pretty pleased. No one responded. My Facebook marketing obsession grew here out of pure frustration. I read a book on Facebook by Paul Adams called Grouped. I still love that book although it’s out of date now. I watched his youtube videos and used Facebook business tools to find out everything I could about Facebook adverts. After a little while I got a response and a few people enquired about products to hire. I was thrilled, and also very naive. I took their deposits and my terrible theory was ‘if I take all the deposits from people I’ll use that money to buy the first batch of items for the first wedding, and so on. So I never have to worry that I don’t have money to buy items’. It. Did. Not. Work. I lost £29,000 in my first year. More on this later. And so began my descent into becoming a penniless entrepreneur. In January 2012 I had a student loan installment which I spent almost right away on all sorts of business bits from leaflets to website hosting. I also hired an assistant, a sister of a friend, which I really didn’t need, but alongside my study and child I was quite panicky about being able to do everything. This demonstrates my need very early on to build a team around me, something critical in business. After that I didn’t have much money left so I had to be super thrifty. Come Easter I had my last student loan payment. Our first official wedding booking was coming up and I had committed us to a lot more stuff than we owned. I bought 10 silver candelabras and a gramophone with my student loan leaving me with with not much left. I still had to make a photowall for the couple, so myself and my bodge-job carpenter friend Jay dismantled my wardrobe to build it. Adam, the guy I met down the pub who helped me with the logo, also helped with the wall. It wasn’t too terrible (a reimagined version is still in our inventory today). The wedding was at Broomhill Sculpture Garden in North Devon. 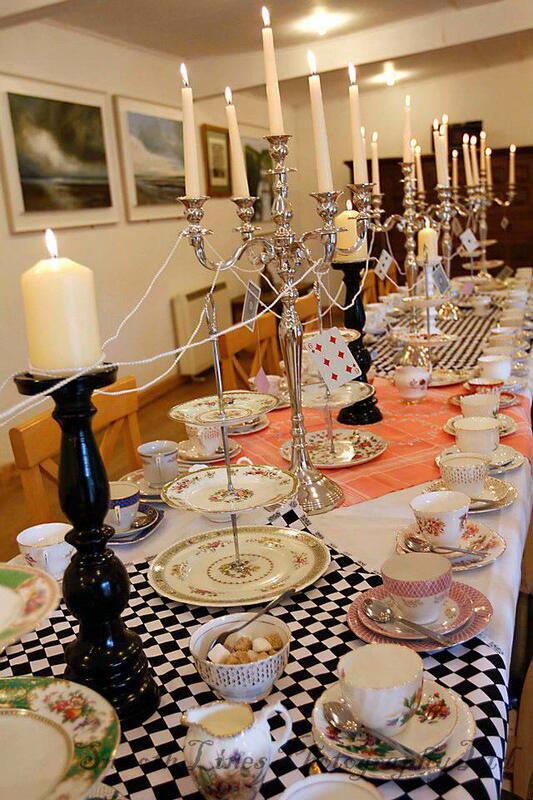 I think we charged the couple £50 to set up 3 tables with full styling for their Mad Hatter’s Tea Party, which included 100 vintage cups and saucers, 10 candelabra, table clothes, delivery and set up with two people. Leaving Alex and I with £25 each for an entire day’s work. I really didn’t have a penny to spare. Towards the end of my degree my cupboards became bare, amenities basic and the internet was a luxury. A particular moment of struggle stood out for me. I was at home with my little boy, who was 3 at the time. I hadn’t managed to make the food last long enough before I could get some more money. I had £0 in my bank, nothing in my wallet. I searched in my car for some change, while my child complained of hunger. It took ages as I wanted to be sure, checking the door pockets for the last time I felt a little hopeless. The whole time I had been going through my head possible plans to get some food, for whatever reason there didn’t seem to be much option than to scale my flat for loose change. To try and distract my little one I turn it into a game, we ended up making quite a mess as that was the only thing that my little one was enjoying, upturning drawers, emptying bags, pulling cushions off the sofa. My mind was so focused that I gave up any sort of discipline and thought I’ll tidy it all later after food. After a further half an hour we found a two pound coin, I was elated. So we set off to the local shop. My little one was very pleased so I let him carry the £2 coin in a tight clenched hand, he had no idea it was all we had, but he clearly felt some sort of ownership of it given the preceding game. Ten minutes later, as toddlers are quite slow at walking, we had reached the shop car park. I had made plans of what to buy. I knew you could buy basic pasties for 35p, that even allowed for some sort of pudding. I hadn’t been so excited about the most basic food before. I didn’t allow myself to think ‘what next’ - what shall we do for breakfast? I was in survival mode, eat now, plan later. Jensen skipped ahead, quite far ahead to the door where I shouted wait as he was just out of earshot. Through the glass of the foyer I saw him talking to a lady who was bending down. As I approached they both looked at me and smiled, and I smiled back it was as if I had approved something. Jensen stretched out his hand and dropped the £2 into her charity money box. I clocked what was going on and my heart sank. ‘Wait!’ I shouted and dashed quickly over. Jensen turned and beamed at me, they lady proceeded to say something along the lines of how kind he was to give up his pocket money, probably expecting a gracious response from me. But I wasn’t listening, I could feel my eyes welling up, my face burning and my heart beating. I wasn’t sure what to do. I walked Jensen into the store where he chattered about what he wanted for tea, the hungry boy seemed to want everything! I can’t recall how we left the store, but I remember reeling off a multitude of excuses to try and get Jensen out as cooperatively as possible. To his credit he didn’t cry, but I remember it being hard. I didn’t have many friends where I was living, certainly not anyone I could call up who would feed us. Or at least with very little confidence I felt that way. I had one mum friend who had been supportive, Alex, but she had her own struggles. I decided to pay her a visit in the hope she would just see we were hungry and feed us. We walked half an hour to her house where she was feeding her own children in the kitchen. Alphabet spaghetti shapes on toast had never smelt so good. Jensen hovered around her little boys high chair long enough to get fed and I got a cup of tea. She looked tired, so I offered to clear the table and do the washing up. Her little boy had left a good half a piece of toast and most of his spaghetti shapes. I cleared the plate away from his high chair. As I carried it to the kitchen my tummy rumbled and it was painful, I hadn’t eaten anything since breakfast and I’d had a full day at college. My intention was to throw the food in the bin, but as I was carrying it my finger and thumb crept up the side of the plastic plate and pulled off a small bit of crust. As I placed the plate in the kitchen, I pulled my hand to my face, like I was itching my nose and ate the tiny morsel of bread. I felt bad. I could hear the children playing in the living room. I slowly looked over my shoulder to see I was alone and silently ate the rest. I was terrified Alex might walk in at any point, be totally disgusted and cast out my friendship. I stayed until it was the children’s bed time. Jensen was tired and didn’t want to walk, so I carried him out the door. I think Alex assumed I was driving, I didn’t as I had no money for fuel, and we said goodbye at the door. Jensen quickly fell asleep so I carried him for 45 minutes. It was painful, my muscles ached, and lack of food made me exhausted. By the time I got home I hadn’t managed to hold back the tears, using Jensen’s jacket to cry into as I walked. The dark, and drizzle had probably hidden the fact I was in any sort of distress to passers by. When I got home I put Jensen into my bed, which was also his bed as we only had one bedroom and bed between us. I sat on the sofa, the flat was a total mess after our game earlier. I just drank hot water and cried. To survive I made a little bit of money to keep living independently until the end of my degree by selling most things I owned. I managed to clear my flat, I even sold my bed and slept on the mattress on the floor. I finished studying in July 2012 when I promptly moved back to my parents’ house with my tail between my legs. No marriage, no home, no job or money and my child only living with me half the time. At this point I was sharing custody of him 50/50. 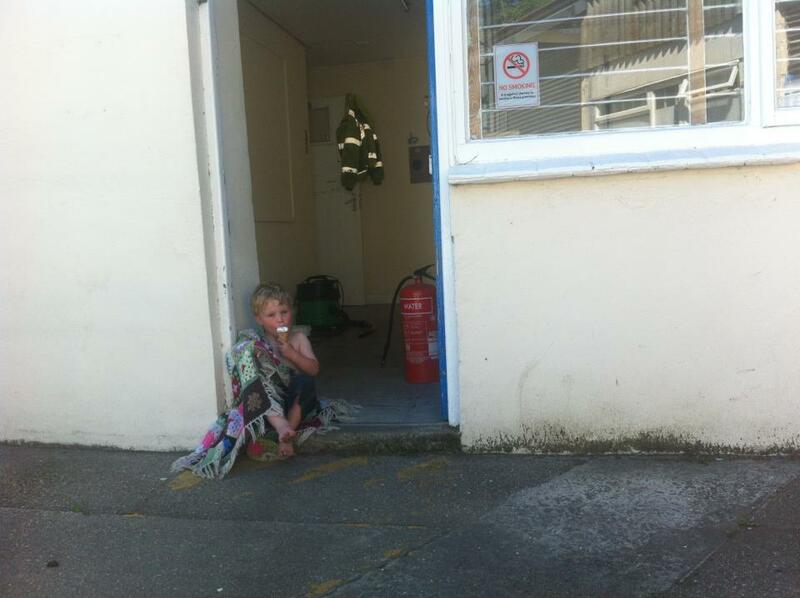 He would come and stay at my mum’s with me and go to nursery when his dad had him in Cornwall. When he wasn’t with me it was so hard, I missed him so much. I would stay at a friend’s the day after he’d gone to his dad’s as I couldn’t bear to put his toys away, it felt wrong. So my mum would do that and I’d return a day or so later. I hadn’t felt the sadness as much while I was studying, but now I lacked focus and a huge void opened up. It didn’t help that his dad and I struggled to agree on things and I felt completely inferior living at my mum’s with no money while he was living with a new partner and earning decent money as a teacher. 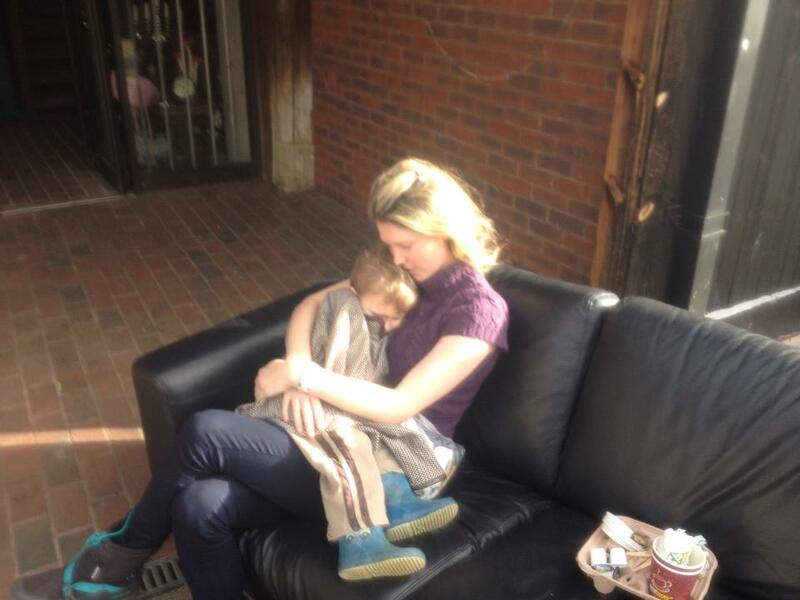 I felt powerless and unable to provide for my child. I spent a few months moping about after my degree, I went out drinking mostly with my sister but it felt so hollow. I had a few more wedding enquires for that year, nothing much but enough to keep my interest in the business. Alex had lost interest in the business altogether, and after I moved back to my parents she too decided to leave. She moved back to Nottingham to be closer to her family. She had spent around £200 on bits for the business, so I paid her this plus a bit more as a gesture, so £500 in all for her half of the business. 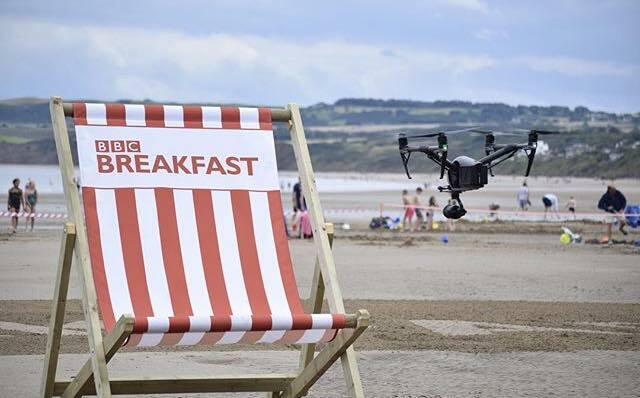 Then something quite random happened, I heard on Radio 1 there was a new BBC Three TV series called ‘Be Your Own Boss’ and they were looking for participants to get investment from Richard Reed - the founder of Innocent Smoothies. It was a sort of crossover between Dragon’s Den and The Apprentice. I applied with a new business idea ‘Event Hire Hub’, which was a marketplace for hire companies, so you could search the database for things to hire. After further research after the show it turned out to be an impossible idea. I find it interesting when people contact me to ask if The Prop Factory wants to join their platform based on exactly the same concept. I always so no thank you. So I was invited to pitch to Richard in London. I asked Adam, the guy who helped me with the logo and build our first prop, to come with me and while we were queuing up to pitch I panicked and said I couldn’t do it as I couldn’t remember my speech. Up until this point it had been my project, now it was suddenly our project. Adam rehearsed the middle chunk of my pitch. When it was our turn I was really nervous. Adam couldn’t remember the pitch having only had a short amount of time to learn it. We were very quickly turfed out. When the show aired later that year Nick Grimshaw commentated over our pitch and it was not flattering! So although our pitch was pants and the idea unworkable, we nevertheless took away a real positive: our working relationship. I really bounced off of Adam as he was so supportive and I had not felt supported for a very long time. 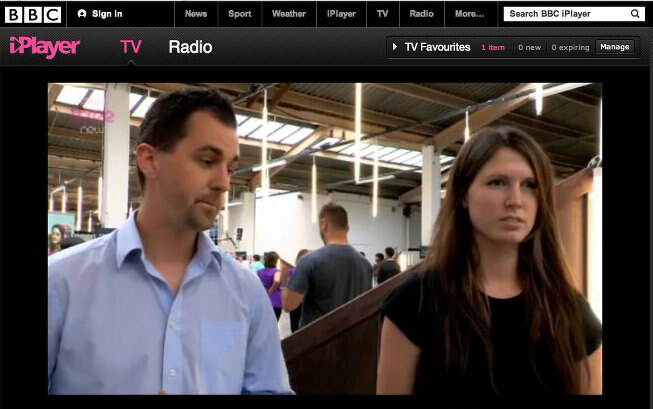 Despite the failed pitch, being picked to be on the show massively boosted my confidence. I believed in myself again, so I picked up my enthusiasm for the hire business once more. I worked full-time for myself doing anything I could think of to make the business work. I completely got that hopeless feeling of ‘whhhhhhy isn’t this working’ Adam, who still lived in North Devon helped me re-do the website. During the summer of 2012 my former marital home was sold and I recieved £35’000 from the sale. It might seem like loads, but my deposit for the house originally was £50’000 given to me by my granddad, which became my motivation later to recover that money. The first thing I bought was a van as I was becoming quite embarrassed by my car. I had a gross green metro that I was delivering props in. 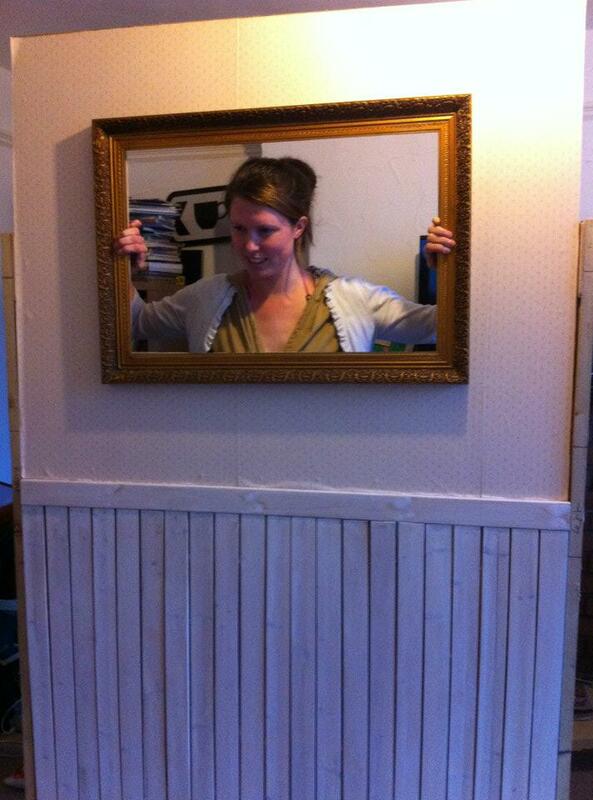 You’d be amazed what you could fit in it though - the whole vintage photo wall for one. I had the van sign written and I was SO proud. I managed to spend the rest of the money in a few months, which was too easily done. In hindsight I was being completely naive and basically wasted it all. I bought 170 chairs for £2000 that were faulty and sold them for £400 after they sat in a shed for 6 months. Buying stuff has always been my Achilles heel, but I guess the desire to have so much ‘stuff’ explains why I now have an 8’000 square foot warehouse full of ‘stuff’. Afterall, buying stuff was how I ended losing £29,000, as I turned over just £6,000 in 2012 and managed to spend £35,000. I do wonder if the loss of that money, and the guilt I felt because it had belonged to my Grandad, was a huge motivator for me to keep going despite the fact that at that stage the business was completely hopeless. I was also pretty proud and was in complete denial that the business wasn’t a success. My parents’ house, greenhouse, garage and 3 sheds we totally full of stuff I’d brought to hire out. My Dad started to get pretty annoyed at me, especially as I now had no money and had taken over their house. 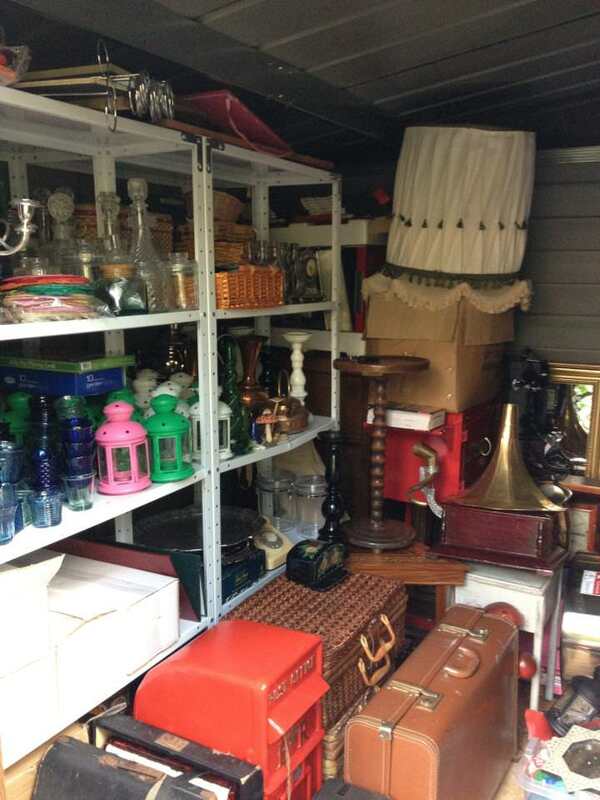 I decided to rent a storage unit in Dawlish, it was £100 a month and I was very concerned that it was a lot of money and you don’t get any more props for it. Around this time I bought 2 giant deckchairs I found for sale on Gumtree. They guy who sold them to us was called Ben and we were his first customer, as he had just started making them for sale. During the winter, enquiries for 2013 were coming in at a steady rate with a large number of couples wanting to view the stock, but not having a showroom became problematic. The early darkness of the winter evenings and no lighting at the storage unit meant using the company van headlights parked in front of it to allow couples to peer in or for the more adventurous ones to clamber in; not exactly the kind of experience we wanted our customers to have. The number of couples enduring this was also due to a lack of website because the system was nowhere near finished. A quick-fix solution, which turned into a - week chore, was the launch a PDF catalogue, which we emailed to over 100 couples who had added their names to a mailing list. The creation of the catalogue pushed the business to develop a coding system and inventory, something it did not yet have. At the end of 2012, one year after I had begun, I happened upon a not-to-be-missed opportunity. 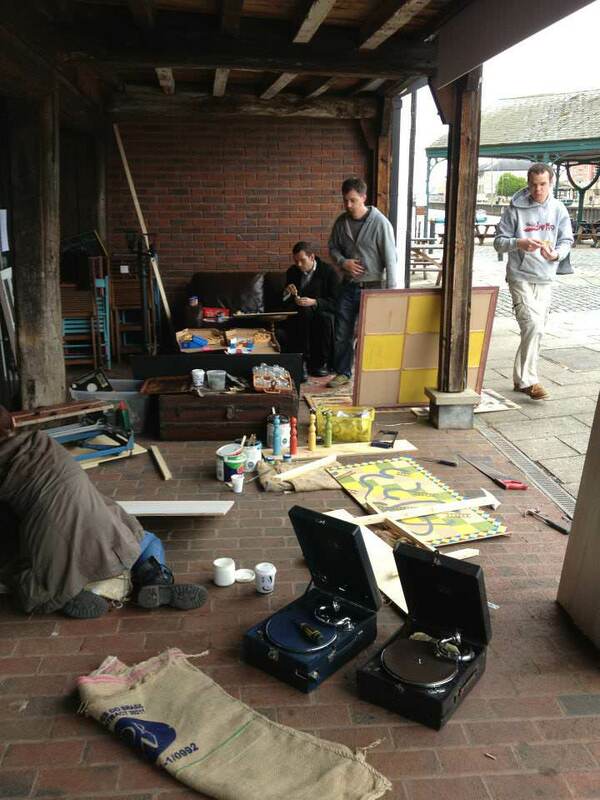 A friend and multiple shop owner in Exeter, Simon Kielstra of Funkles Antiques (who sadly passed away in 2016), had a vacant shop on the Exeter Quayside. I went to view it and fell in love with the space. However, the rent was too far out of the business price range, so I agreed to share the space and rent with Simon. 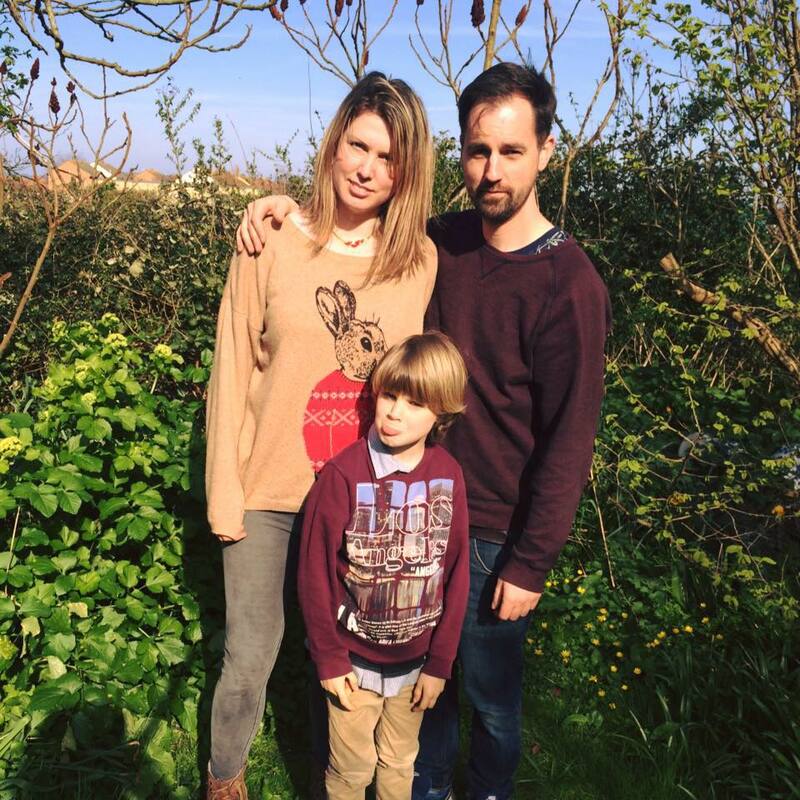 At the same time as acquiring the shop in February, Adam quit his long-term job in North Devon to move to Exeter to work for the business. We ran the shop and business together. By March 2013 I realised Adam had become invaluable to the business with his skill set filling in the gaps. I asked him on his 29th birthday if he would like to become my business partner. It definitely wasn't because I hadn’t bought a present for him. The business became increasingly demanding and it was reaching the point of collapse with mistakes being made as well as stock and orders becoming increasingly difficult to organise. So we set about developing a cloud-based management system. Looking at software that already existed we found each one had its flaws and after getting a quote to custom build one for £40’000 we were left pretty bemused. However, we didn’t stop looking and were eventually referred to a friend of a friend who proved to be just what we were looking for. We designed a unique system tailored to the business' needs and commissioned it to be built for an initial fee of £600. With many late night meetings over the winter as well as constant evaluation and redevelopment, it took nearly 18 months for the system to move from something intangible to becoming a cornerstone of the business. This system was to prove invaluable in securing the future of the business as well as its progression. We are currently rebuilding this system at a cost of £152,000 which makes the original quote a real bargain! In April our partnership became official when we registered the business as a limited company both as equal company directors. At this point we had so much stock we took on the whole shop. The management system had been live for 2 months with all customers on the database. It made a huge difference to the admin workload. However, April marked the start of a different kind of heavy demand. There was still so much to be done to prepare the business for the summer season as it had nearly ballooned out of control. Items needed to be built and new stock had to be bought for custom orders. Working hours stretched into the early hours for consecutive nights, the working week edged close to 100 hours. A few very large orders came our way maxing out our resources and stretching us to the limit, with some orders being finished on the day of the wedding. It was an exhausting time with considerable expenditure, high levels of stress as well as many tears. Buying and making new stock for a backlog of customer orders nearly bankrupted us, but we were fortunately bailed out by a family member. We realised we could not go on like this as it was impossible to fulfil every client's needs, so we had to rethink our business. We implemented minimum hires, and overhauled our inventory, ruthlessly dropping hire lines. This was certainly a head over heart approach. The summer of 2013 was so busy for us I roped in my friends to help a lot and paid them with beer and pizza - I am eternally grateful to them. The strains of work weren't the only thing causing great stress to me. My son was approaching school age and was due to start reception in September. I lived in Devon and his Dad lived in Cornwall. We both wanted him to go to school where we lived. I assumed he would go to school with me, but after a series of events I completely lost out and he started school in Cornwall with a residency order in place meaning I only had him every other weekend. I was completely and utterly devastated. It was hard enough only seeing him half the week but every 2 weeks was insane. I felt rubbish about my life and wanted to quit everything. Nothing can describe the huge hole left by not having my own child in my life. I didn't know what to do. I said to him ‘One day you’ll live with mummy and we’ll have a chicken’. He used to repeat this back to me and I was able to hope. I buried my sadness as much as I could. When I didn't have him with me it was like he was erased from my life, I never talked of him with people. If I did I’d be a blubbering mess. I kept it so quiet that he didn't live with me that hardly anyone knew. If someone found out they were always very surprised. I was worried I would be judged, or people would assume I was an unfit mother, which 100% is what did happen. Many people, especially older people, didn't understand, which made me feel like a terrible mum. It was around the time, in fact only a month or so after the law changed regarding parental rights between married couples, so it was unheard of prior to then, that a court ruled in my ex husband’s favour, even though I had done nothing wrong as a mother. I threw myself deep into work, I became consumed by work every second of every day. It gave me back the feeling of pride and achievement and self esteem. I worked the most ridiculous hours, because as soon as I stopped my focus I’d cry. I often wonder how I carried on, but when you are faced with a rubbish situation you just do. Over the next year or so this overworking cycle continued, which was amazing for the business as it grew very quickly but the price was my health. The relationship with my son’s dad deteriorated badly and I felt powerless and completely hopeless. I remember giving up hope that my son would ever live with me. Losing hope puts you in a very dark place. 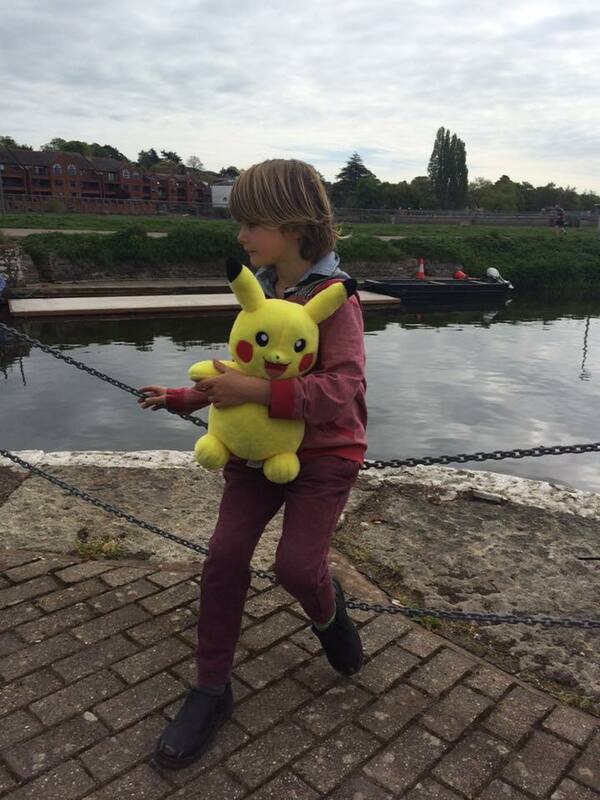 In October 2013 an event relating to my son triggered me to completely lose all hope. 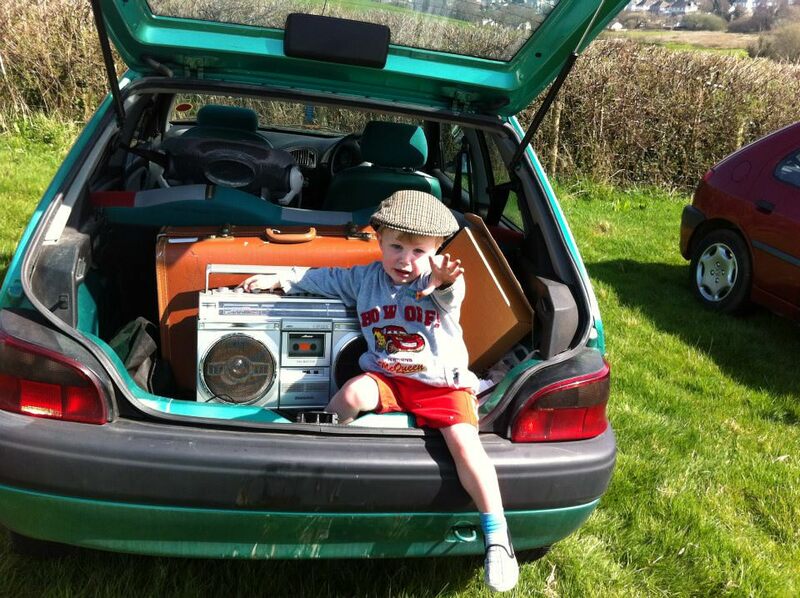 I drove up to Dartmoor and left a note in my van, took one of my sons teddy’s with me and just started walking. I really didn’t ever think I was going to come back when I walked away from the van. But there must have been something pulling me, as I did make it back. My life bounced between personal despair and the draw of excitement from the company which provided focus and a point of happiness. Adam and I started to build props which was very therapeutic for me. I made a lot! We didn’t really have any carpentry knowledge so we asked Ben, whom we’d bought the deckchair off. He helped us with the carpentry work. We didn't have any money to pay him, so he said not to worry, we could pay him when we could afford it - which turned out to be never! The summer of 2013 was over and so was our income. We were very unprepared for this, as our expenditure over summer hadn’t allowed us to save any money at all. Wages stopped, we started applying for jobs and shut the shop for winter. I took on a care job, which tied me over the winter months, but this meant very little time and energy for the business, so unfortunately we were not able to build very much to add to our prop collection. 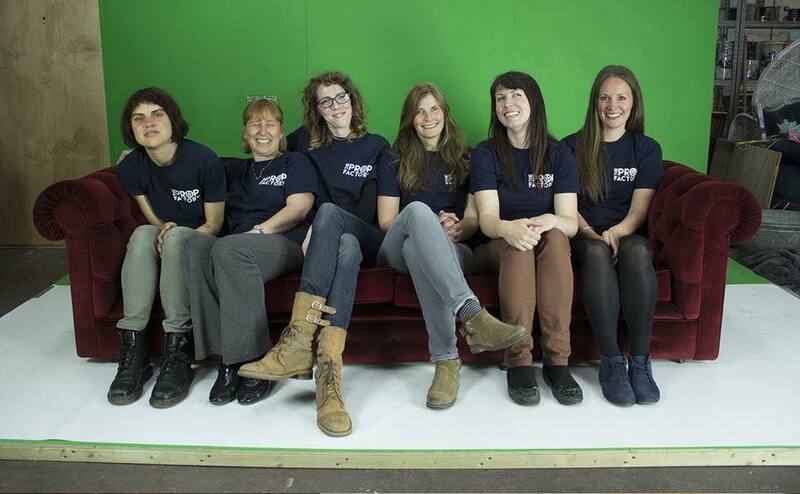 In February we project-managed a promotional film, collaborating with several local businesses and Falmouth University students. This was filmed at Deer Park Hotel and went very smoothly, giving us confidence in our project management ability. As the weather started to warm, so did interest from customers and by March 2014 we were open again. We had a few bookings over winter, but nothing like the summer season, which officially begins in March. We had rent to catch up on, so it was a relief to be back up and running again. We started to get some interesting bookings, some of which we had to turn away because they weren’t economically viable, but others we gladly took on. 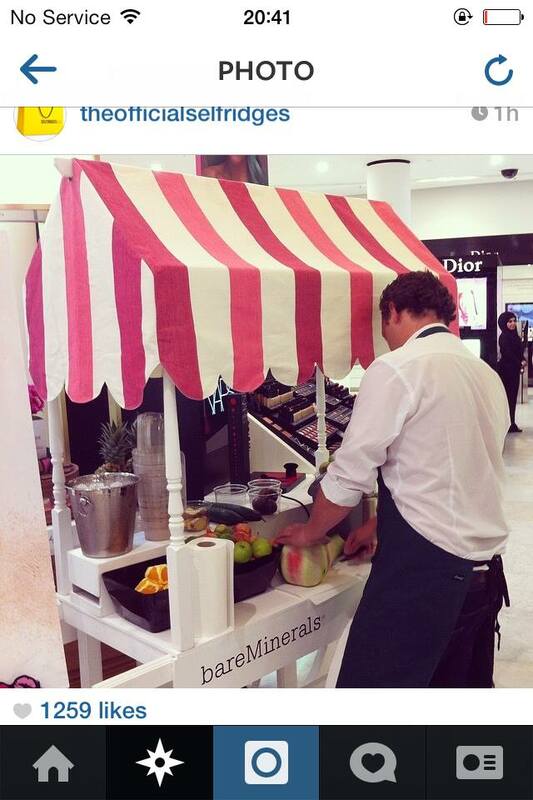 We hired a candy cart to BareMinerals in Selfridges, custom circus props for Ben Hanlin’s wedding in Solihull and décor to The Association of Commonwealth Universities in Kent. 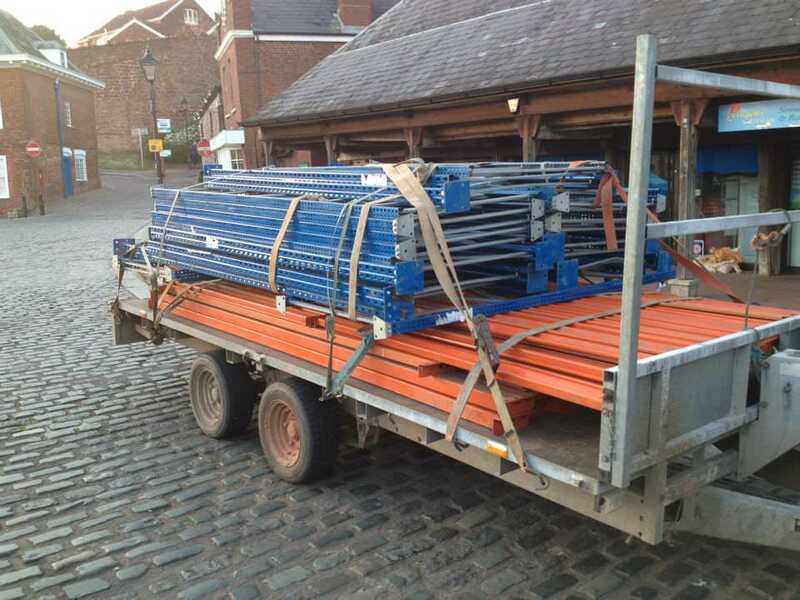 Space was disappearing very fast, we could hardly move in the shop, so getting orders ready was often very stressful as they couldn’t be put into any sort of pile or loading bay until the day they were due to be delivered, so we’d just turn up at 5am and start piling stuff outside the shop. Knowing that we had nearly reached our limit of space we began to buy stock and not advertise it, rather we buried it under other props. 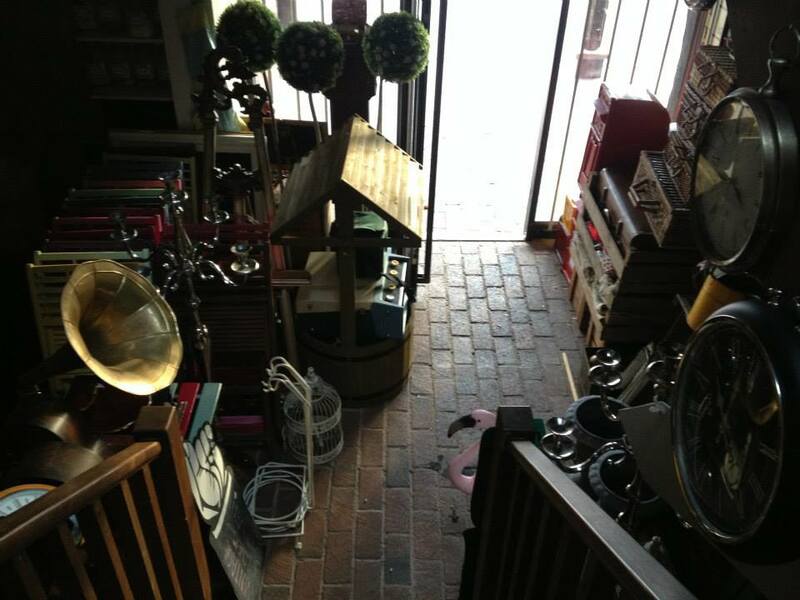 We knew we’d have to move out very soon and so buying new stock would fill a new space. 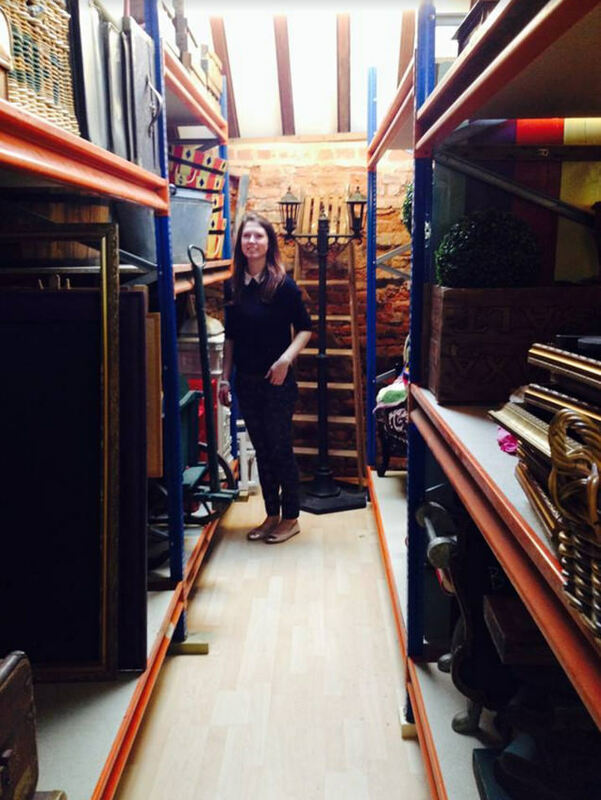 A new space would come at a premium, so we’d need more stock to pay for it but with nowhere to put the new stock we started to beg and borrow space. 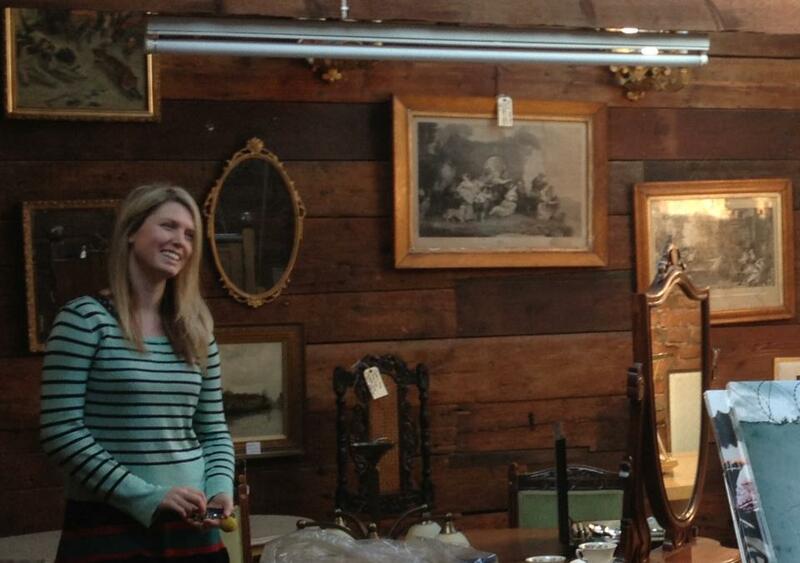 We filled a barn, attic, sheds, a greenhouse, Ben’s workshop, and even started storing things in our living spaces. It was 2012 all over again, but with even more stuff. By now we had actually started to pay people real money, not beer. I bought a fairground ride, and sold it back to the person I bought it from as it never left his garden. I still wasn't learning my lesson about impulse buying. We were busting at the seams. At this point we were probably the least organised we’d ever been. Although we never let anyone down, behind the scenes was chaos. We had some more good clients come our way including Oxford University and TOWIE - by this point we’d decided we would offer delivery all over the UK. We would take the bookings and figure out the logistics later. Ben rented a barn for his deckchairs and we had the shop, and despite the clutter it was actually a very happy time in the company. With hindsight there was a lot less responsibility. Today we have staff with salaries, finance commitments and contracts we are tied into. We had none of that then. We’d work outside the shop, maybe have a glass of wine in the evening on the Quay and carry on painting and making into the night. My determination was at an all time high. By this point we had completely outgrown our space. We began to look for a place to rent where we could be central together. 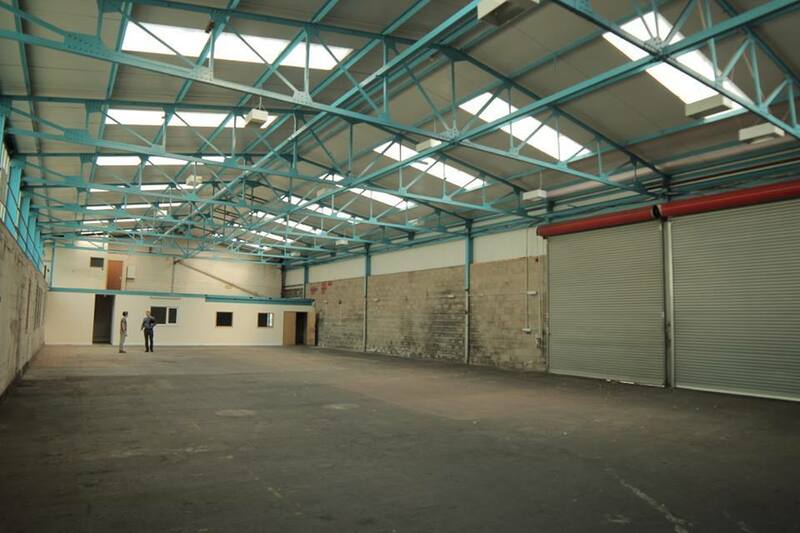 We looked at quite a few warehouses, the biggest was around 3’000 sq ft, but our attempts to get a lease kept failing, either someone else got there first or it would somehow fall through. 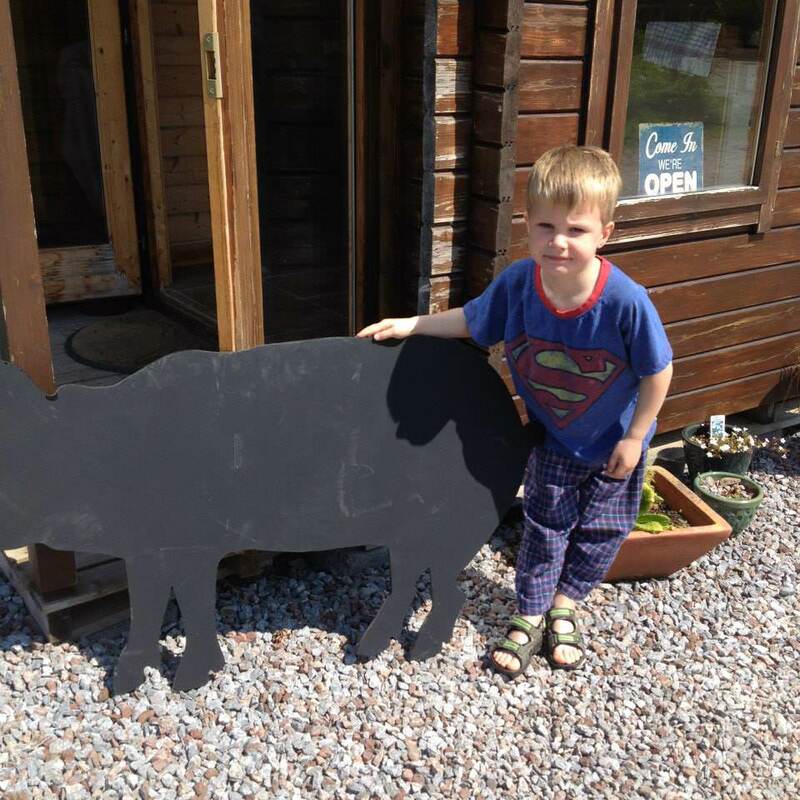 We even applied to lease a National Trust Farm in Clyst St Mary, but our business plan was unsuccessful. I have a feeling our business would be very different indeed now if we had a farm, not a warehouse. Adam and Ben viewed a warehouse while I was away in September. It was so much more expensive than the others we’d looked at, and it was HUGE! We made the decision to rent it and our tenancy was accepted. We moved in and it looked ridiculous, it was empty apart from a tiny corner of props. We’d managed to save some money so covered the rent ok over winter. It was also the first time we’d got paid ourselves over winter. We each got a whole £3 an hour. In 2015 we hired a few staff members. I don't think we were that good at being employers to begin with as we lacked the experience. We did everything by the book, but massively lacked the necessary management skills. We took on some commission work and things ticked along. During the next winter we ran out of money - again! We asked to pay our rent month by month not quarterly and scraped by. I was in quite a bit of debt by that time as I didn't have a lot to live off, but I still spent a lot on my little boy and gave his dad money for things, although I really couldn’t afford it. At this point we rebranded from The Very Vintage Hire Company to The Prop Factory, as we felt we’d outgrown the name and The Prop Factory describes more of what we did - which was make props. In 2015 we knew we needed to manage the company better as it was fine when it was just us three, but now we had staff it was so much more complicated. I enrolled on a college diploma in Leadership and Management, which was one evening a week so it seemed a good idea. But oh my goodness was it not one day a week! It was intense, I studied so much, wrote essays as long as my university dissertation – it took over my life. It turns out it was equivalent to the first two years of a degree squashed into one year. But the information was invaluable! Within a month of being on the course I’d started to change; not just a few things but everything at work. We set up things like budgets, spreadsheets, strategies, management meetings and such. We stopped all commission work for props, which sadly caused us to lose a lot of good clients like Children in Need, Britain's Got Talent, Persil, The Guardian etc., but is was so much less stress. We now choose what we make based on research rather than customers asking us to make props. We were learning a great deal. The deckchairs were selling well, so we didn't have to worry too much about the loss of those clients. Also during 2015 Adam and I become a couple! He had always been so supportive and was my rock. Despite this happy turn, 2016 was nevertheless a very challenging a very difficult year. I continued to study on my course, still bringing in new ideas and huge bags of enthusiasm for change. My confidence in my ability to run a business was at an all-time high. I wasn't the scared person I was before. I was confident, assertive and didn't worry. I read so many books on different subjects – sales, HR, marketing, strategy, consumer psychology and neuroscience. 2015 onwards I became consumed with learning more. I did begin to feel very frustrated when Adam or Ben didn’t understand my ideas. I felt like my management knowledge was hard to apply being in a management trio. At this point in the business I would call it my ‘stroppy’ years. I wanted the business to be more and whatever we did wasn’t enough. I would have very strong ideas and make sure they were heard, then repeat them until they were implemented. Ben and I had very different ways of managing things, each with their merits, but this caused a lot of friction. But I also believe it was a catalyst for success. Because we seemed to never agree it frustrated both of us, so we devised ways to make decisions, the classic being the ‘business case’, a phrase Ben and I used as ammunition – in a constructive way of course. We’d both be very subjective when making decisions about the company so a mentor we had, Robert Pocock, suggested we write a business case, that detailed the evidence there was to support our argument. It stumped us at times, as often there was no evidence, it was just what we thought would work. Making business cases I highly suspect was another make or break situation. It changed our thinking and we became a lot more serious about what we were trying to achieve. We acquired our mentor after I sent out the most desperate email venting my frustrations about our inability to function as managers together. I think the message must have been pretty strong as I only emailed two people and by the following week we had two amazing offers of mentorship. One was from Robert, Chairman of the Devon Design Guild, who normally charges £1000 a day, but offered it to us for free. And another was from Exeter Science Park who funded some mentoring from Stewart Noakes, a multi-million pound technology startups entrepreneur. Between both mentors we had workshops and meetings covering all manner of business issues and helping us write our first business strategy. How we got this far without one is a mystery. Planning and strategizing is now a HUGE part of the company and completely essential. On my diploma one of my units was Strategic Business Decision-making, in which we were tasked with presenting a hypothetical software program that aided strategic design making. I loved that project as it taught me to question my decisions and use research and data to make them, rather than an educated guess. The beginning of 2016 was very hopeful after a frustrated start. In April we took on two full-time prop makers, one of whom is now our longest serving staff member. We also took on a logistics manager who is amazing and took so much stress away from us. We hired them after I completed a unit at college on HR recruitment and planning. I learnt about psychometric testing, interviewing, employment law and that sort of stuff. The prop makers had a six-hour interview, which might seem very long but it produced such perfect candidates. I wholeheartedly believe it was a necessary process. We had 208 applications for the prop maker job with one person coming from as far as Liverpool for the interview. Towards the summer work was busier than ever, and we still had our management issues. My college work had built up, and I was so stressed by it. The stress was starting to make me ill, as my moods were really up and down. I went to the doctor and it was suggested I start CBT as I’d worked so much, and not dealt with my emotion around motherhood and I really wasn’t that well. Adam and I decided to move in together, so we rented a flat on the quay. It was an amazing feeling to move out of my parents’ house after being back there for four years. Then my life changed forever. It changed not because of moving out, but a highly emotive event meant that after five years of my son not living with me, all of a sudden he was here and with me full time. It was a complete shock. I was just coping with college and the stresses of the growing company and then my life changed again. I was in and out of court for a very intense period. I was a complete emotional mess, it was a terrifying experience (I know it seems an odd word to use, but it really was). I had been waiting for this day, and I had held onto hope, but the shock was so much to cope with. At the same time I got diagnosed with Bipolar Disorder. 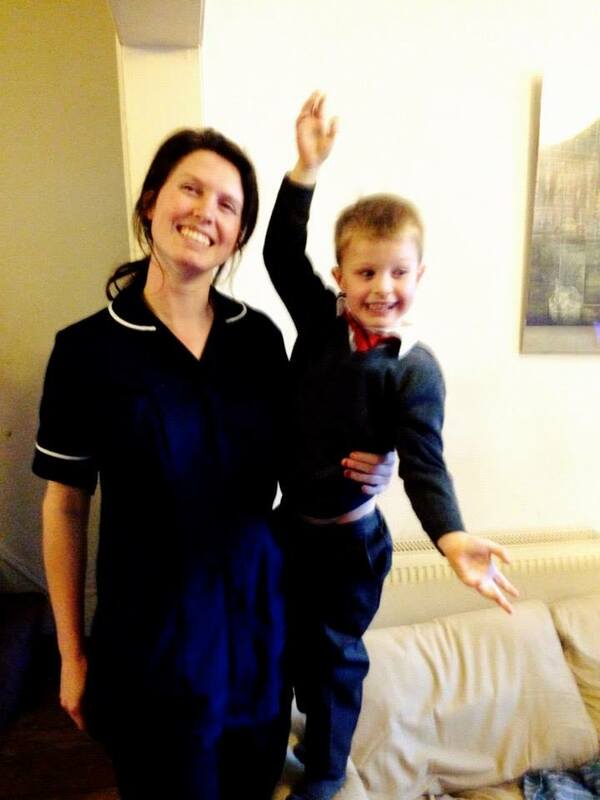 I’d been in and out of hospital for tests for a while, and the diagnoses was quite untimely. Bipolar Disorder can manifest after severe emotional traumas, which didn't surprise me in the slightest. I was so lucky that I wasn't solely in charge of the company. I had two amazing directors who understood when I took 10 weeks off during that summer to cope. I also had an incredible team who carried on running the company without complaint. I always wanted a team around me, as no one really ever achieved anything on their own. I was also very fortunate that my tutor at college was very supportive too. I had a huge number of extensions on my coursework. 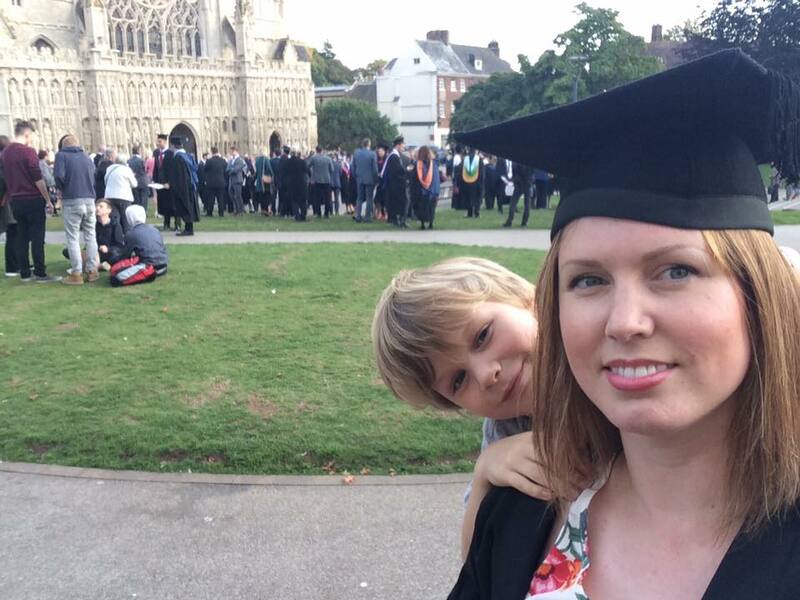 So much so that I was due to graduate at Exeter Cathedral in October of 2016, but I had to finish my coursework first. It was supposed to be submitted in June, but one week before graduation, at the beginning of October, I finally handed it in and graduated – yay! The first time I had ever done a school run was when my little one was 7. I’m not a school run fan now, but at the time it was amazing. 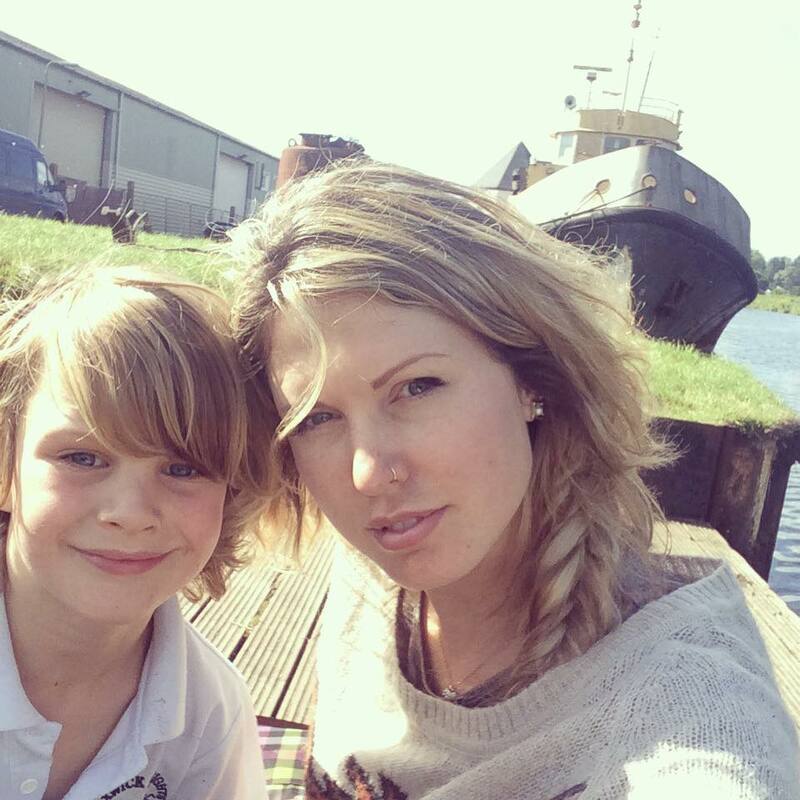 I used to think to myself before he lived with me: I’ll never pack his lunch, take him to school, have him home when he is ill; all the things I imagined most parents just do, and probably found annoying, I wanted to do but couldn’t. I used to get desperately sad when seeing people doing such normal things with their children. When he was in a school, which took forever as every school in Exeter seemed to be full. I’d had him the entire summer holidays, plus an extra three weeks, so I’d gone from not having him to being home with him for nine whole weeks, which is a lot by any parent’s standards! From then onwards it was a real mix of being happy because I had my son back, to not being able to cope. The business was all I’d known for years, and all I’d done. 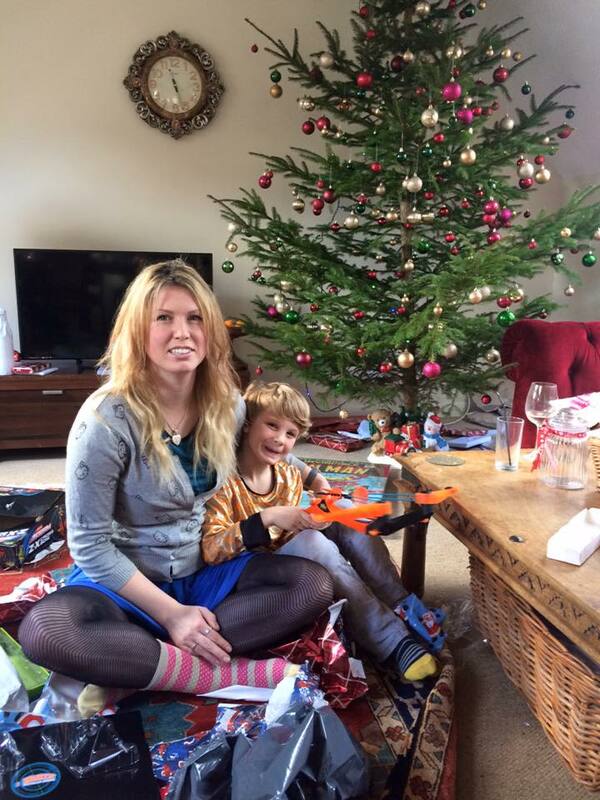 I was a pretty nervous mum as I had to rebuild my life that I didn't have. At the same time I went through various different medications to stop the effects of my bipolar. It was a lot to deal with, the medications had pretty horrendous side effects. This meant that I took a huge step back from work. My relationship with the company disappeared and I had no interest in The Prop Factory anymore. From the end of 2016 till October 2017 I didn’t manage The Prop Factory at all. Instead I switched to Giant Deckchairs marketing, which by comparison gave me more space to concentrate on my health. 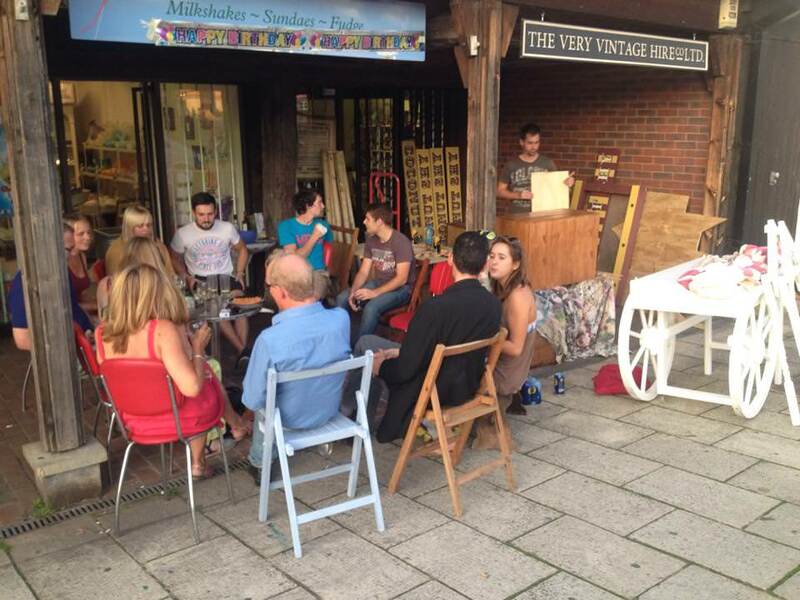 In a year we increased Giant Deckchairs’ turnover by nearly 100%, which was amazing. It kept me going chasing targets, and allowed me to relax when we met them. However during the summer of 2017 I had a relapse of my Bipolar. Adam and I put an offer in on a Georgian Maisonette in Exeter, and the sale finally went through in July 2017. My medication had stopped working at this point and I ended up in hospital after taking too many sleeping tablets. It wasn't a suicide attempt, it was complete desperation. I wanted my mind back and I had become a shadow of my former self. Months went by, and I had a support worker and help from my son’s school who have been amazing. I was in and out of hospital and my doctors like a yoyo. By October I returned fully back to work. Over the course of 2017, Ben, Adam and I had disagreed a lot on the future of the company. We all wanted different things, and now we had the money to potentially do them. 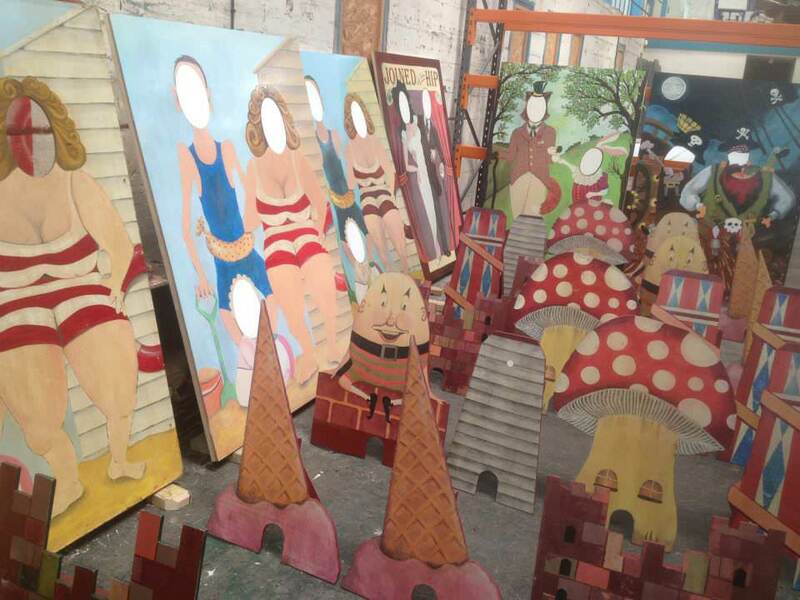 After a lot of meetings we mutually decided to demerge the company back to The Prop Factory and Giant Deckchairs, and when our lease is up in 2019, we will go our separate ways. It makes me a little sad writing this as we have all been through so much together. We have changed as people, our lives have changed over the time we ‘raised’ the company together. It wouldn't be here without the three of us. My enthusiasm is at its highest ever now and I am confident about the future. I am so much more stable, I have a home again, a good partner, my son and my love of the company back. The Prop Factory is now run by Adam and I with our amazing team.